It’s the New Year, a fresh start, a clean slate and a new beginning. It’s a time to reflect, goal set and “resolve”, right? Right! I have a question for you. Did you get sick after the year-end holidays and/or at the start of this year? I did. And that is very un-Mike Alves-like (yes I just wrote that). Why did I get sick? Because I focused on producing, on what I could do, get done, finish, achieve, etc…and didn’t keep my normal balance. I started living like everyone else and I stopped training like no one else. My immune system suffered and I paid the price. Since I love the start of a new year for all the reason above and due to my cold, the colds of my clients and my grand writing of the 2012 Change Your Body Boot Camps Macrocycle and programs, I was reminded of Aesop’s Fable, The Goose with the Golden Egg. One day a countryman going to the nest of his goose found there an egg all yellow and glittering. When he took it up it was as heavy as lead and he was going to throw it away, because he thought a trick had been played on him. But he took it home on second thoughts, and soon found that it was an egg of pure gold. Every morning the same thing occurred, and he grew rich by selling his eggs. As he grew rich he grew greedy; and thinking to get at once all the gold the goose could give, he killed it and opened it only to find nothing. Moral of the Story: Greed often overreaches itself. Well…I overreached. I attempted to squeeze out every last ounce of results I could and I didn’t take care of myself the way I normally do. Stephen R. Covey author of the NY Times best seller, The 7 Habits of Highly Effective People: Powerful Lessons in Personal Change, would say that my P/PC balance was off and Aesop would say I was greedy. “P” stands for Production and “PC” stands for Production Capability. In our wonderful world of bigger, faster, stronger, where many strive for the American Dream, there is a tendency to focus on Production (the Golden Eggs) and neglect Production Capability (the Goose). If you desire to achieve or produce more and net golden eggs, you also must schedule time to take care of the achiever or producer, the goose, and focus on your production capability. If you want to get a better job or earn more (Production / Golden Eggs) you often have to work more, acquire more skills & knowledge and/or take on more responsibility (Production Capability / Goose). If you want to lose weight, lose fat, build muscle, run faster, get stronger, break a personal record, change your body, …stay healthy…, etc…and focus on your production or net golden eggs you have to change the way you think, eat, move, sleep, drink, train, … i.e. you’ll have to change your lifestyle and also focus on your Production Capability and thereby take care of the Goose. In closing. Life is more exciting when you’re producing something and you can increase the rate, quality AND duration of your production if you not only give focus to your production capability, but prioritize, schedule and DO it. When you take care of the Goose, yourself, you can sustain production of Golden Eggs, your results, for a longer period of time. If you make this a habit, addressing your production capability, and adopt this balanced lifestyle, you’ll reap the rewards over your lifetime. 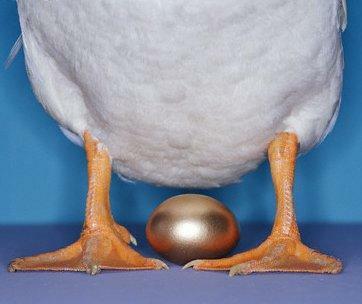 Imagine all of the Golden Eggs the farmer could have had over his lifetime if he took care of the goose. Here’s your chance. Take it! I am. p.s. Newton’s #1 Body Transformation Program, Change Your Body Boot Camps is in its 4th year of helping Busy People address their production capability. Earn and Burn simply means to earn your calories by burning your calories. Create a caloric deficit before, enjoy your meals and expend additional calories after. Get it? It’s simple right? Most people either have never thought about this or if they did, weren’t really sure how to do it. Here’s what you do. Call your friends, family or loved ones you’ll be spending Turkey day with and ask them if they’d like to join you in an “earn & burn”. Decide what you want to do. It could be a long, looping walk around town, a 5k (3mile) Turkey Trot or a 30-45minute Fat Loss Workout. It can be something else too, just remember it should either be of long duration or highly exertional. If you choose the walk, shoot for an hour looping walk. If you choose the run, have fun and make sure to warm up & cool down. The more calories burnt the better. If you choose a fat loss workout, intensity with minimal rest is key. What’s a fat loss workout? Great question. A fat loss workout is a high intensity interval training workout. It can be done anywhere, anytime with most any object. 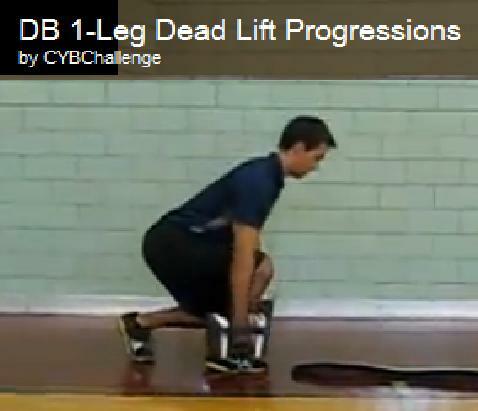 Wanna see a fat loss workout in action? Click play to watch the video. Back to earn & burn. After the big meal, go for a “Last Name” family Walk. We do an “Alves Family Walk” and because its New England we’re all bundled up. Doesn’t stop us though. It’s tradition. Sometimes we even do it before dessert, o.k. we maybe did that once, but we tried it. Not every one joins us, but the majority do. We go for a big walk, everyone together, little circles form talking about who knows what. Then we come back and fight over seats on the sofa. 🙂 Sound familiar? So do you think you can do an earn & burn this year? Would you like a fat loss workout to do and share Thanksgiving morning? If you said yes, you’re in luck. The Freaky Fat Loss PUMP-kin Workout is finally done and ready to be shared. It was supposed to be a copy and grew to a mini e-book, but its ready and I’m excited to share it with you, free of charge. To receive it, just comment below “More PUMP-kin Workout Please” with your e-mail address written like this: username(at)domain(dot)com. I’ll e-mail it to you asap. That’s it. No strings, just my way of giving back and fighting fat. (I’m still hoping to post it for easy download, but all of the pictures, descriptions and content has made it too large to host on my website. E-mail works fine as I’ve already sent it to myself). PS if you take the leftovers, keep earning & burning through the weekend. PPS this is my first e-book, so feedback is very welcome. Great News and wanted to share it with you all. The Newton Tab, a local publication in the town I do most of my training out of, responded to a story pitch/news release I sent them and said they would attend the Freaky Fat Loss PUMP-kin Workout and write a story about it. So excited, I can’t write fast enough. AND if that wasn’t great news, well I’ve got something that can top it.